“Good Ol’ Days ” de Blundetto est disponible sur toutes les plateformes! Un double EP comprenant le fameux titre éponyme avec deux légendes du reggae digital: Cornell Campbell & Little Harry ainsi qu'”History Dance” en collaboration avec le mystèrieux Kid Charlemane. 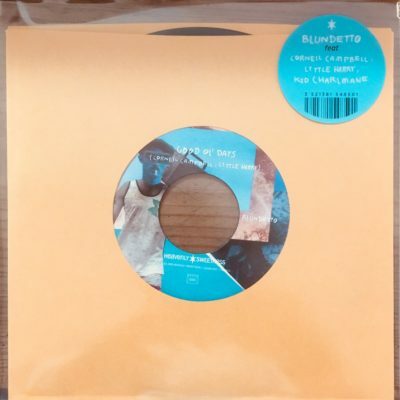 “Good Ol’ Days ” by Blundetto is out!! A double burner with the eponym track featuring 2 great voice of reggae digital era : Cornell Campbell & Little Harry and on B side « History Dance » featuring the mysterious Kid Charlemane.